I won’t pretend that this post is anything other than an expression of admiration and excitement for Mary J. Blige. So, if you don’t want to read me glowing up Mary J for too many words, turn back now. 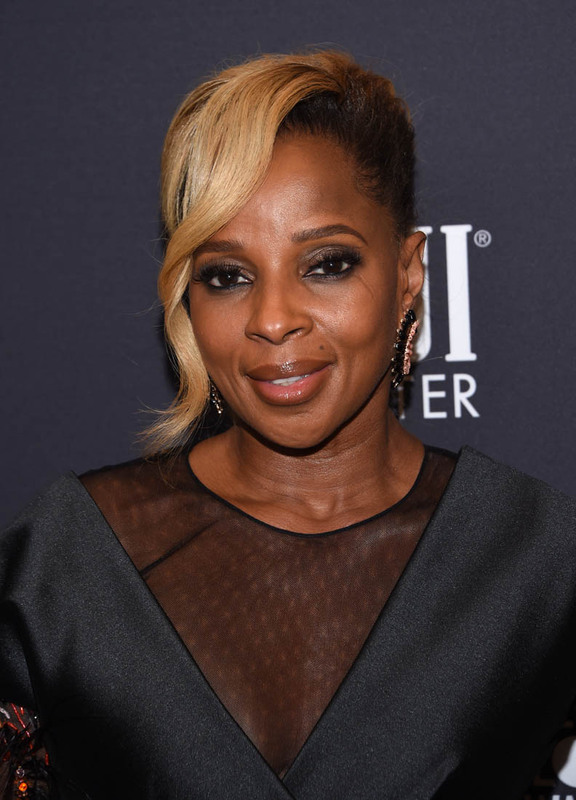 It has been a little over a year since Mary J. Blige freed herself from a sh-tty marriage to a sh-tty dude named Kendu. He cheated on and mistreated the Queen of Hip-Hop Soul (how dare he?) then decided to come for all of HER money so this man does not get to be qualified as Mary’s ex-husband or manager or anything else, he’s just “sh-tty dude” from now on. 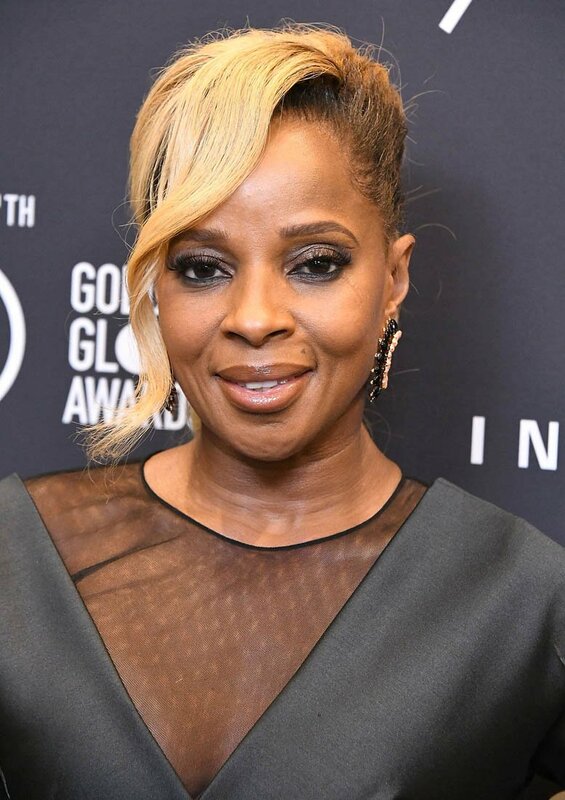 In the year since the dissolution of Mary J’s marriage, she released a formidable breakup album The Strength of a Woman, threw down flawlessly at the BET Awards and maybe, probably moved on to a younger man. She’s also found herself in the awards season conversation. Mary J. Blige might win an Oscar. Let that sink in. Mary. 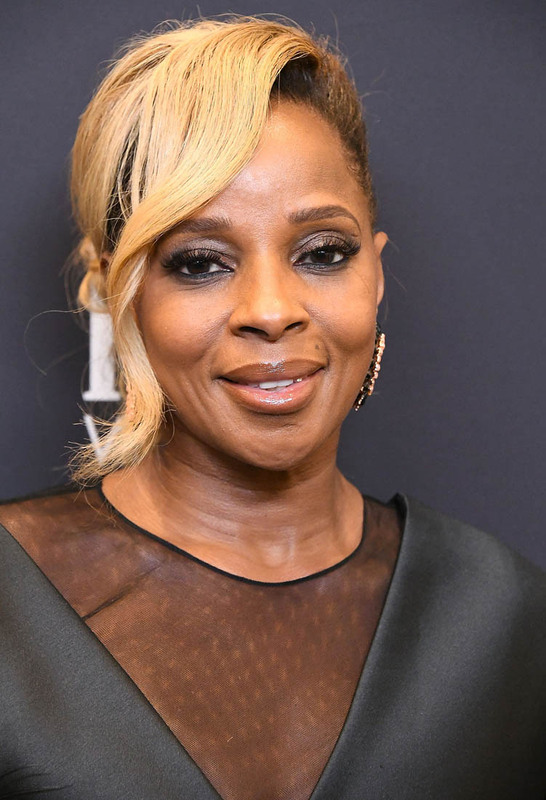 J. Blige, the woman who gave us “hateration, holleration in this dancery,” one of the greatest phrases in R&B history, is on track to be at the Academy Awards as a nominee for her performance in Mudbound. Here she is last night at the Hollywood Foreign Press Association’s celebration of the 75th anniversary of the Golden Globes, with dozens of other Oscar contenders, working that award season circuit. Look at Auntie Mary J, living her best life. I am happy for her in a way that would be more appropriate if I was really her niece and not just someone who has listened to Real Love give or take 1,354 times. Mary’s breakout album What’s the 411 came out 25 years ago. Nine years after that, she delivered No More Drama, the breakup song of all breakup songs and solidified herself as the voice of black heartache and pain. After every devastating romantic moment of my life, I’ve self-prescribed a shot of Not Gon’ Cry, chased by Just Fine and by the time I get to No More Drama, I already in the “men are trash but I’m a badass Queen who’s going to be OK” stage of heartbreak. Mary J. Blige’s brand of post-breakup female empowerment is an important detail in the story of her current journey to potential Oscar gold. 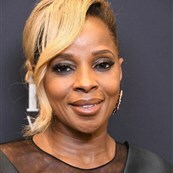 Mary J tells the Wall Street Journal that while she was preparing for Mudbound, she channeled “all of the hurt and pain and embarrassment and shame” of her divorce into her character Florence Jackson, a woman surviving racism and bigotry in Mississippi after her son comes home from World War II. 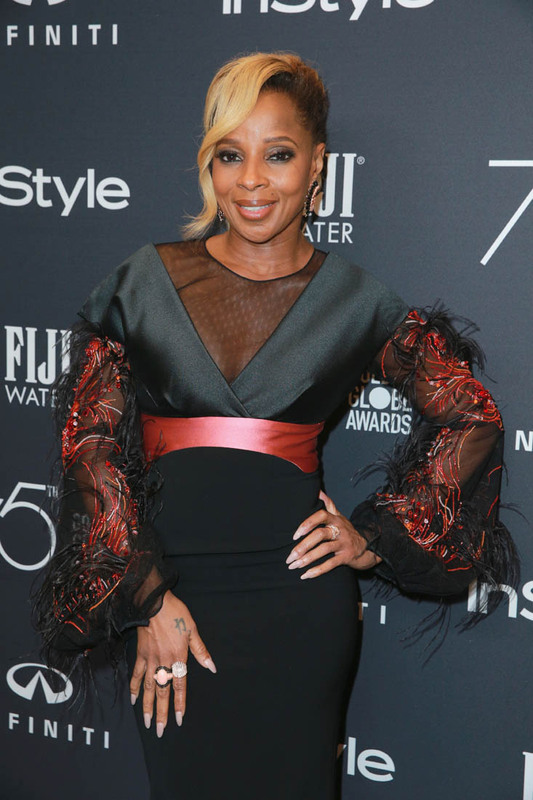 She says she would show up crying to her acting coach’s house and her coach said, “Give it all to Florence.” Mary J. Blige is not just a scorned woman on a career upswing, she is MARY J. BLIGE rising from the ashes of a failed marriage and stepping on that deadbeat sh-tty dude’s face during her ascension. Winning an Oscar for this role which was fueled by the very pain he provided is the best, most poetic middle finger to Kendu that Mary could give. Of course, this accolade is a wonderful achievement that Mary J worked hard for and the focus should not be on that philandering golddigger but it’s also a fitting, full-circle moment that this is the year in which Mary J. Blige gets her come up. Mary J talks about herself in the third person often. She knows what preconceived image comes with that name and she owns it. At The Hollywood Reporter actress roundtable, where she’s featured alongside Emma Stone, Jennifer Lawrence, Saoirse Ronan, Allison Janney and Jessica Chastain, she says that this is the first role she’s played where Mary J. Blige disappeared. “When I watched Rock of Ages, I was like, that's Mary J. Blige. (Laughter.) Oh, that's awful. That's not supposed to be Mary J. Blige, that's supposed to be the character. And then I saw Mudbound at Sundance, and when I saw the character, when I saw Florence, I just started crying because it wasn't me. I was like, "Who is that?" It was the character. I was like, "Wow, OK, I've done something." Many outlets have pointed out that Mary is unrecognizable in Mudbound. We know how much The Academy loves that. She’s also got the crying on the floor and the divorce narrative. AND she’s Mary J. Blige.